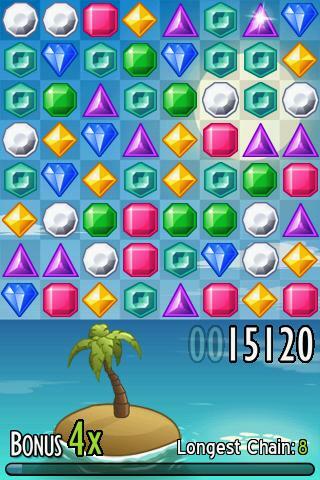 Do you remember playing that three-jewel matching game on your old Nokia dumbphone? I certainly do, and it was actually quite fun. Now, you can get the exact same game on your Android smartphone with Jewels. There’s really not too much to Jewels. You simply have to find and tap on sets of three or more jewels. The remaining jewels will fall down around them, and produce new sets of three or more. 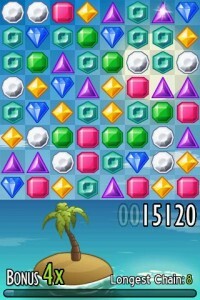 The game is all about removing the maximum number of jewels possible using the largest sets possible. Overall, Jewels is a fun little game for your device. It’s got all of the requisite features you’d like in this style of game, and is free with ads.